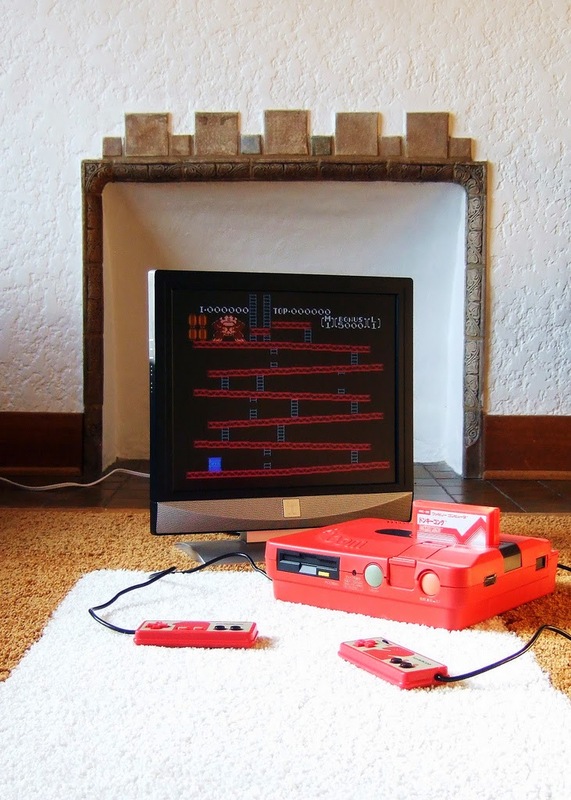 In honor of the Famicom's release 31 years ago (as of yesterday), I thought I'd publish a post that focuses on a few of my favorite games that were made for Nintendo's first proper console. Note: I don't necessarily consider the titles discussed below to be the "best" that appeared on Famicom carts or disks. Rather, I consider them to be among the ones I most enjoy playing. Bubble Bobble--When I first encountered this disk-based port of Taito's classic arcade game, I wasn't all that interested in it due to the fact that it's far from a perfect conversion. Once I got over the fact that the backdrops as well as the enemy and item sprites in this iteration differed from the original, though, I began to appreciate what it brought to the table--which is some wonderfully frantic platforming that's supported by one of the best backing tunes ever to appear in a video game. Door Door--This cart-based puzzler-platformer is far from perfect. That's an entirely forgivable offense, though, as it was Enix's first foray into the world of Famicom development. Also, despite its choppiness and rather languid pace, this adorably rendered title is a whole lot of fun--although don't be surprised if it prompts you to pull out a few clumps of hair, too. Meikyūjima--Known as Kickle Cubicle in other territories, this Irem joint has long been a favorite of mine due to its brightly colored visuals and its surprisingly unique gameplay (although the latter almost assuredly was inspired by HAL Laboratory's Eggerland series or Sega's Pengo). Given that, why did it never receive a sequel? I guess we'll never know. Moai-kun--Here's another fairly recent addition to my "favorite Famicom games" list. Of course, I didn't even know about this Konami-made cart until a year or so ago. Anyway, I'd say it's well worth seeking out if you like challenging puzzler-platformers--just don't go into it expecting to encounter the best graphics the Famicom has to offer. Mother--Is this Americana-themed RPG a bit rough compared to its sequel, which is better known to westerners as EarthBound? No question. The original's still an intriguing title, though, as for me it's been just different enough from Mother 2 to be worth my time and attention. Of course, it hasn't yet proven to be interesting enough for me to finish, but I'm hoping to rectify that sooner rather than later. Otocky--This is the game you show those naysayers who try to tell you that games from this era were little more than simplistic button-mashers. Actually, this one--developed by SEDIC (don't worry, I've also never heard of them) and published by ASCII--is a button-masher, of sorts, but it's far from simplistic. How so? Well, for starters, it's basically a mash-up of a shmup and a music or rhythm game. On top of that, it's one of those rare games that's a joy to experience due to the manner in which the two aforementioned genres are so seamlessly incorporated. Pajama Hero Nemo--I'm probably not alone in admitting this, but I have a love-hate relationship with this Capcom platformer, which was given the title Little Nemo: The Dream Master when it was brought to the States. On the one hand, its cartoonish aesthetics are absolutely astounding, especially for the era in which it was produced, while on the other, it's one of the toughest Famicom games I've played. Still, for me its positives far outweigh--OK, mostly outweigh--its negatives. Super Mario USA--I know a lot of people would name Super Mario Bros. 3 rather than its "fake" predecessor, but the fact is I've always preferred the latter to the former. In part, that's because of Super Mario USA's expansive roster of playable characters (compared to most other entries in this famed series, at least), although I also really enjoy what I consider to be its "softer" visual stylings. Warpman--This Famicom follow-up to Namco's Warp & Warp (or Wapu to Wapu) likely isn't all that well known outside of Japan, and that's a real shame, as it's a thoroughly enjoyable arcade-style romp that I like to think of as one part Robotron (although not entirely) and one part Bomberman, if that makes any sense. Honestly, I could go on about my favorite Famicom games for another day and a half, at least, so I'll stop here. How about all of you, though; which 8-bit Nintendo titles do you consider to be the most enjoyable or fun? I can't say much about Famicom, but my favorite NES games are The Legend of Zelda, Bionic Commando, and Blaster Master. They are my comfort food games. I was thrilled last week when I saw Blaster Master had been rated for 3DS Virtual Console. I think the death animation in Panic Restaurant is one of the best I've ever seen in a video game. Your little Chef Boyardee knock-off spins in place on one heel, falls to the ground, and twitches one leg as a humiliating tune plays in the background. It really gets its point across! Other than that, I bow down to your Little Nemo prowess! I'm fairly certain I've never made it past the train stage myself. My gosh was that one frustrating--but exhilarating, too! The American version of the character is definitely the better of the two. His age works to his advantage... a chef needs many years to master his craft. I think Warpman need little bit more love. Definitely great game, simple mechanics but really fun play it just for 20 min. here and there. I'm jealous of your Twin Famicom. I want one so bad. His name is Marty, but his friends call him FM Townes. Sorry, Scarritt, didn't mean to make anyone jealous. It is a beauty, though, isn't it? 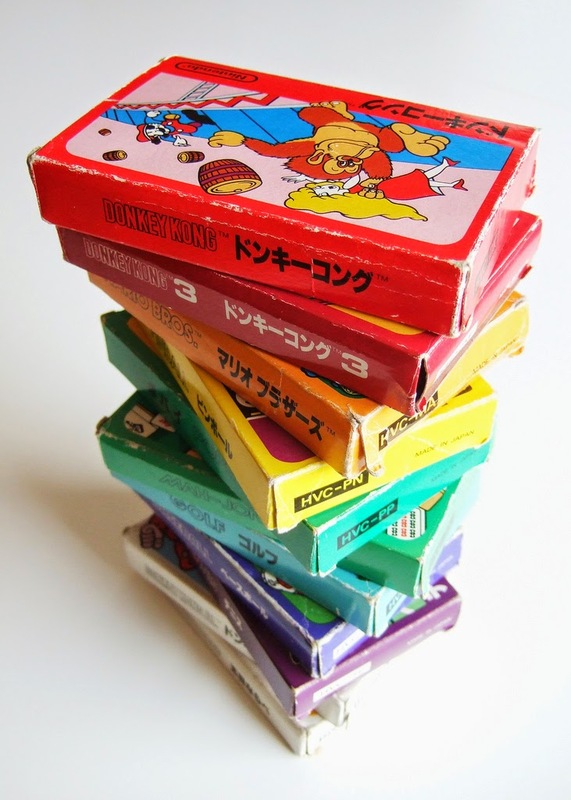 Actually, I like all of the Twin Famicom designs. Haha, growing up all my gamer friends were ladies so if I was embarrassed about a cute game I could thankfully just play it at their house! They had the most random game collection, but this was one of them! Oh, yes, I've always loved the FM Towns Marty, too--not that I've ever had one, of course. But I've long wanted one! I'm going to try to get back to my playthrough of Mother soon, I think. I'm in the same boat as you are, though, with all sorts of other games "calling" me at the moment--Tomodachi Life, MH3U, a bunch of GameBoy games, etc. The FM Towns (I goofed, there's no E in the name) is a fascinating chapter of lost gaming history. Sure, it was basically just a 386 computer, but it was packaged in a gorgeous shell, and it played action games far better than a PC from the late 80s had a right, if the pictures I've seen are any indication. That price was murder, though! Sales picked up after a redesign, but the manufacturer just lost its patience and dropped the system before it bled any more money. BTW, I *just* got Earthbound after earning Platinum status on Club Nintendo, and... I haven't fallen in love with it just yet. It's like the JRPG equivalent of South Park, with similarly irreverent writing and simple art. Mother 3 was about on the same level visually as other titles on the Game Boy Advance, but Earthbound doesn't exactly make the Super NES fire on all cylinders. Yeah, the FM Townes seemed to be a cool system. I've long wanted one for the Bubble Bobble and Rainbow Islands ports--despite the fact that they're basically just arcade ports--and a few other games. The price, though, has kept me from picking one up--and probably will keep me from picking one up for some time to come. As for EarthBound: I can't argue with your very general assessment of its aesthetics and story, but I still love the game. Yes, it's far from the most accomplished SNES game in terms of graphics, but it has a style all its own, IMO, and in the end that's a big part of the reason I love it. Also, as much as I adore Mother 3's art style and graphics, I personally prefer what's found in EB/Mother 2. For me, Mother 3 is just a tad "generic" looking, while EB is almost intentionally ugly (while still being kind of cute, of course), and I love that about it. Anyway, here's hoping you warm up to the game eventually!